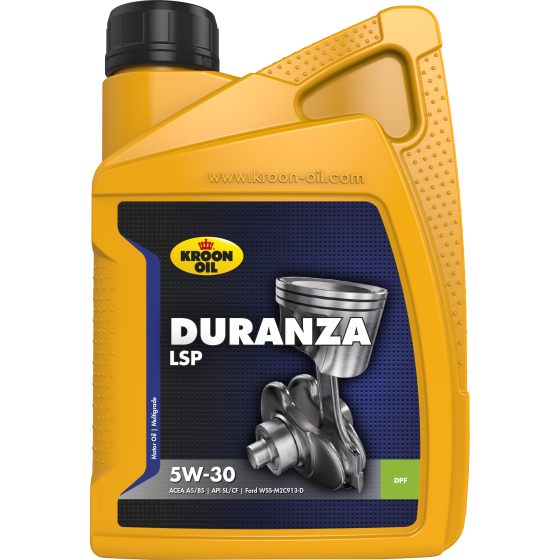 Duranza LSP 5W-30 is a fuel-saving, synthetic motor oil for the latest generation of cars with a particulate filter and/or catalytic converter. The product is also highly suitable for the latest generation of Ford cars and vans equipped with modern three-way catalytic converters and particulate filters. It can be used if the Ford specification M2C-913-D is recommended and in cases in which one of the older Ford M2C-913-C, M2C-913-B or M2C-913-A specifications is required.